Free of top food allergens—including gluten, dairy, eggs, wheat, corn and soy—this vegan pumpkin pie filling will please everyone at the feast! Entertaining friends and family on modified diets can be daunting. What works as an egg substitute? What do I use in place of wheat flour? Milk? Well, not to worry. 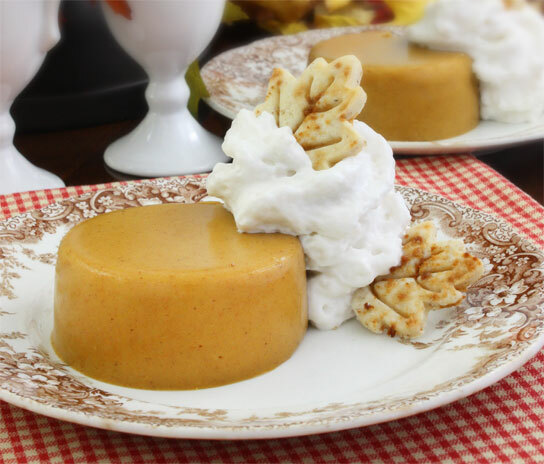 Using a short list of ingredients, you can whip up a holiday classic that everyone at the feast can enjoy—like this vegan pumpkin pie filling. 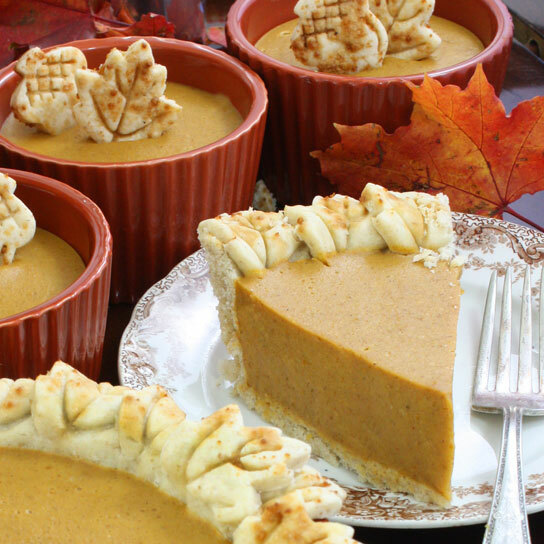 Free of the top food allergens—including, but not limited to, gluten, dairy, eggs, wheat, corn and soy — this pumpkin pie filling is suitable for vegetarians and vegans as well. For gluten-free crust suggestions, please visit the Williams-Sonoma blog post this pie was originally featured in. Happy Holidays! In a blender, blend the pumpkin, maple syrup, coconut milk, tapioca flour, pumpkin pie spice, salt and vanilla until smooth. Set aside. Pour the water into a saucepan, sprinkle the surface with the agar-agar powder and whisk. Bring to a boil, then gently simmer for 1 to 2 minutes. Whisk the pumpkin mixture into the simmering agar-agar. Return the mixture to a boil and gently simmer, stirring constantly, until thickened, 2 to 3 minutes. Pour the hot pie filling into a prebaked pie shell or make crustless mini pies using by filling small ramekins. Refrigerate until firm and set, 3 to 5 hours. Serve chilled or bring to room temperature. Either way, with the help of the agar-agar, the pie will remain firm. Top with Coconut Cream Whipped Topping; vegan version or non-vegan version. Thai Kitchen® coconut milk may be found in the Asian section of most major grocery chains. Agar-agar is a plant-based gelatin derived from seaweed. Agar-agar powder may be found at Asian markets, many natural grocers and on Amazon. Be sure to buy agar-agar powder, not bars or flakes. Alternatively, in place of the pumpkin pie spice, you may use 2 1/2 tsp. ground cinnamon, 1/4 tsp. ground nutmeg and 1/8 tsp. ground cloves. There is an ad on the Williams Sonoma page that is triggering my virus scanner, it may be malware. My computer allerted me to a virus on this page. It's a no go on this end! This looks great! I am in charge of convincing a whole lot of non-sensitive palette's that allergy-free food is just as good this holiday..I will be doing some dry runs on the crust for sure! Thank you! Is there any substitute for the agar? I'm allergic to it, but also need to make a dairy-, egg-, Nut-, and soy-free pie. I don't need it to be vegan though, so would gelatin work? Lexie, I don't know how I missed this post! 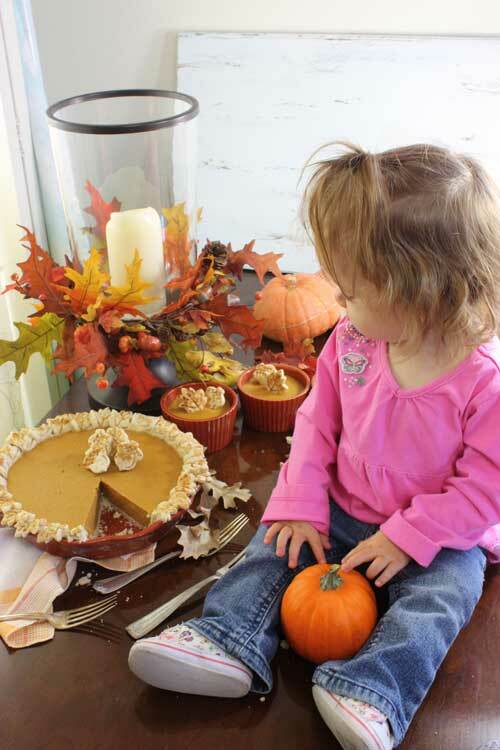 Your pumpkin pie is stunning! I actually saw it earlier today on Pinterest and now I know it's yours! Wow! Love it! Can you recommend any substitutions for the TAPIOCA FLOUR, or what would happen if I omit it all together? Would either of these items I have on hand provide a similar result; chestnut flour, coconut flour, jk gourmet almond flour or maybe even coconut oil? Alternatively, I may try upping the maple syrup a little bit to a total of 2/3cup or 3/4cup. It's possible the little bit of extra sweetness is what she thinks is actually missing and not "creaminess" because I though the texture of your recipe was PERFECT! In fact, as far as I'm concerned EVERYTHING was PERFECT about your recipe, thanks again!! This sounds wonderful however my little one (whom I'm nursing is sensitive to coconut is there any suitable substitution for coconut milk,oil I could use? 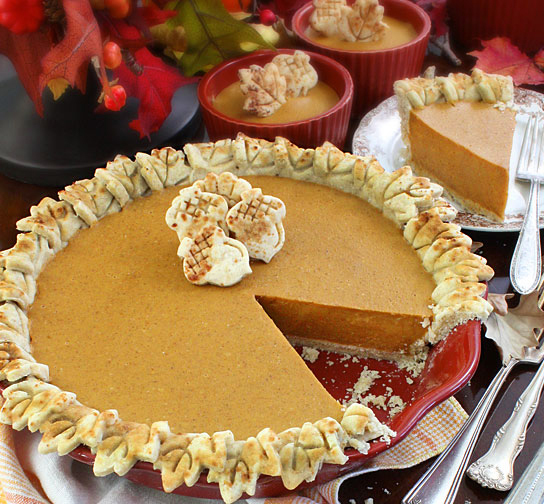 I made this and a few other pumpkin pie recipes to see if it was a possibility for our vegan/gluten-free dessert for Thanksgiving for my daughter and it won hands down! So yummy!! Thank you for posting this!!! Made this for our GFCF and egg-free, corn-free family. So good, I ordered your book!! this is perfect! exactly the recipe i was looking for for this thanksgiving!!! 🙂 thanks! I loving your site name! Giving it to them straight. That’s what eating right is all about. Oh and I hope you love the pie!